Today in this post I will ask you what is a Web Browser. In back 2009 few months after Google launched their Google Chrome web browser, they went down to Times Square in New York to ask people of different ages and background “What is a web browser?”. But hardly four people out of fifty know what a web browser is. And something similar Amitabh Bachchan also did in KBC (Kaun Banega Crorepati) he asked a participant “Which of these is not a web browser?” (see in below video from 5:16) and she needed to use a lifeline to answer this question because she was confused. So if you don’t know what a web browser is then let me tell you. Web Browser is an application which lets you have access to internet like your emails, your friends on Facebook, Twitter, information you are searching for, etc. it is not your operating system or any website that you visit like Google.com, Yahoo.com, SJbn.Co, etc. 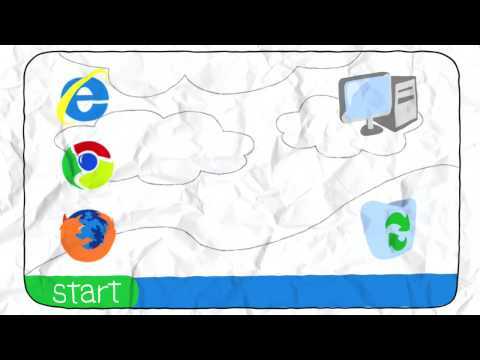 To learn more about Web Browser visit WhatBrowser.org.